Baccarat Hotel and Residences New York, located in the heart of New York, is an epitome of architecture and design. 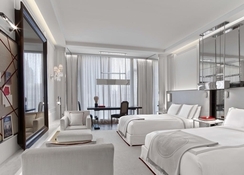 This five-star hotel is an initiative by the Baccarat crystals group. 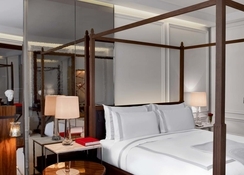 The hotel rooms feature intricate signature Baccarat crystals along with world class amenities, fine dining restaurants, an indoor pool and much more. The hotel is surprisingly close to several tourist attractions in downtown New York, including Central Park and Times Square. Feel lost in glamour and comfort as the flagship hotel of the Baccarat brand offers a symbiosis of urban elegance and a grand bourgeois salon atmosphere. The in-house art collection complements the perfect picture in an inspiring way. The guestrooms and suites follow a traditional French design and style while offering excellent views of the bust New York streets below. All the rooms have urban characteristics coupled with luxurious bath amenities. 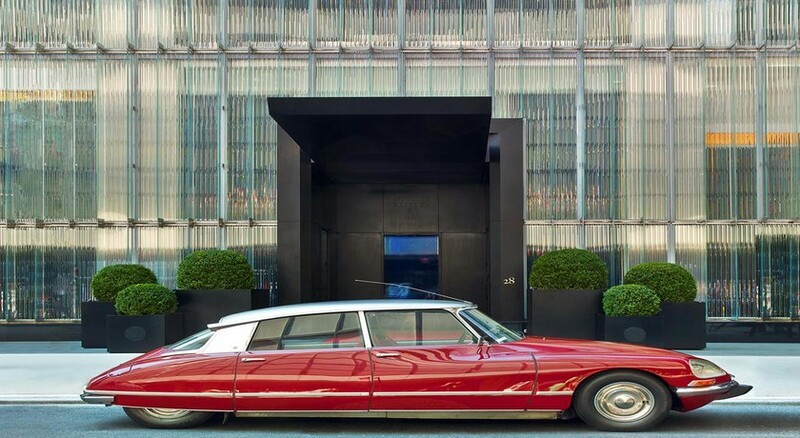 This luxurious hotel is located opposite the "Museum of Modern Art" in Midtown Manhattan. In the immediate vicinity are numerous shopping, dining and attractions such as the Rockefeller Center or 5th Avenue. The world famous Central Park is a short walk away. 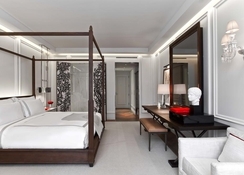 Baccarat Hotel and Residences New York offers a total of 114 guestrooms. Guests can choose from King Suites, Double Bedroom Suites, Classic suites, Prestige Suites and the signature Baccarat Two-Bedroom Suite. Room amenities include a safe, seating area, desk, coffee / tea maker, minibar (for a fee), telephone, and internet- wLan / Wi-Fi. Facilities also include a bathtub or shower, toiletries, bathrobe, a hair dryer and more. 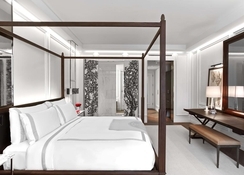 The guestrooms and suites also feature in-room lighting, climate control, direct connection to housekeeping, 24-hour concierge and in-room dining. Baccarat Hotel and Residences New York welcomes you the Grand salon, a unique dining experience with buffet as well as a la carte options along with a host of alcoholic and non-alcoholic beverages. There is a separate bar offering craft cocktails and a great selection of wines among other drinks. Adjacent to the bar is a terrace area that offers breath-taking views of the city below. The hotel offers a spa and wellness centre with a host of massages and therapies. There is also a modern fitness centre for those who wish to stay active during their vacation. The indoor pool at the hotel offers a tranquil environment.